Stripped of her castle and lands, gently bred Lady Emlyn refuses marriage to a cruel lord and flees to the safety of the greenwood—where she soon falls for a bold forest outlaw, the Black Thorne, who courts danger in King John’s England. Swept up in a game of passion and daring deception, Emlyn learns too late that the mysterious outlaw and the ruthless lord she despises are one and the same man. Now, for both Thorne and Emlyn, the greatest risk of all exists in the truth . . . and love. 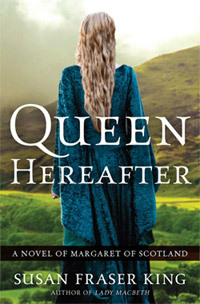 Isobel of Aberlady has prophetic visions, and she has always been safe at Aberlady Castle in the wilds of Scotland. 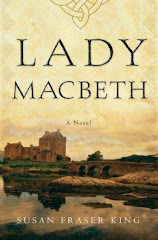 But when her castle is besieged by the English, Isobel must protect her castle and its people. When James Lindsay, Scottish knight turned outlaw, slips into the castle to fetch the prophetess and rescue her people, Isobel flees with James--trusting him. But James is a hunted man with a grievance against the prophetess who brought ruin to his life. As James and Isobel travel through the Scottish forests and rescue a remarkable hawk -- James discovers that the passionate, remarkable Isobel has captured his heart . . .
in three beautiful, determined women . . .
Now in Amazon's Top 100 Historical Romances! 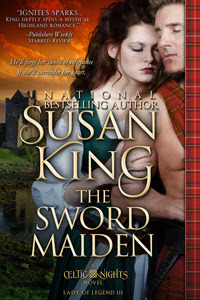 A stubborn Highland lady meets a mysterious knight . . .
A beautiful forest rebel meets an English knight . 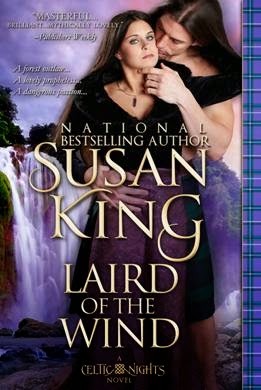 . . A Sequel to Laird of the Wind Click here to order! She needs a sword to save her clan . . . He vows never to forge another weapon . . .